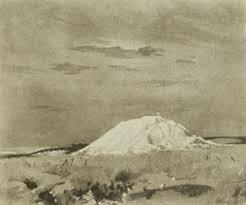 The Butte de Warlencourt, once a strongpoint in the German army’s defences on the Somme front, is set to be restored as a visitor attraction for the Centenary of World War I, reports the Daily Mail. The Western Front Association (WFA) bought the site 23 years ago for £7,500 from a local farmer to save it from developers. The WFA now plans to restore the pathway to the summit, install new walkways and handrails, and also place memorial benches around the site. It will also mount information boards on the mound explaining its historical significance. At 250ft the Butte gave German commanders clear views across the battlefields of 1916. The Mail quotes lieutenant colonel Roland Boys Bradford, of the Durham Light Infantry, who was awarded a Victoria Cross for his role in an attempt to scale the mound and seize it from the Germans. The WFA is appealing for sponsorship and donations towards the Butte de Warlencourt restoration project. There is more about the Butte in an article on the WFA’s website, here. To read the original story from the Daily Mail, click here. This entry was posted in Events and tagged 1916, Butte de Warlencourt, Daily Mail, news, Somme. Bookmark the permalink.